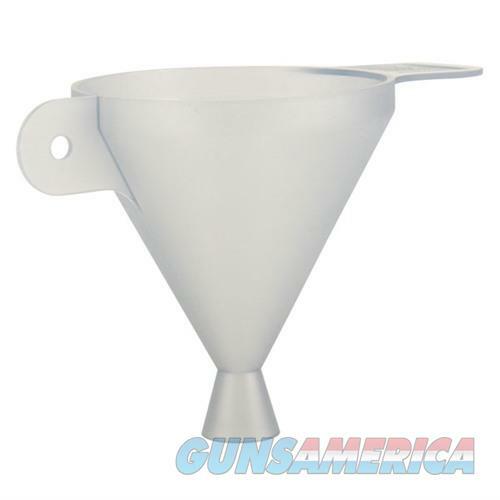 Description: Lyman 7752431 E-Zee Powder Funnel One-size-fits-all powder funnel has a flared end that fits any case mouth from the smallest .22 centerfires up to the big .50 calibers, including the Short Magnums, Ultra-Mags and Super Shorts. Two-position handle allows bench mounting or hand held use. Semi-transparent polymer.